We all know how paint can influence the feeling of a space. Did you know that it can also influence the architecture? 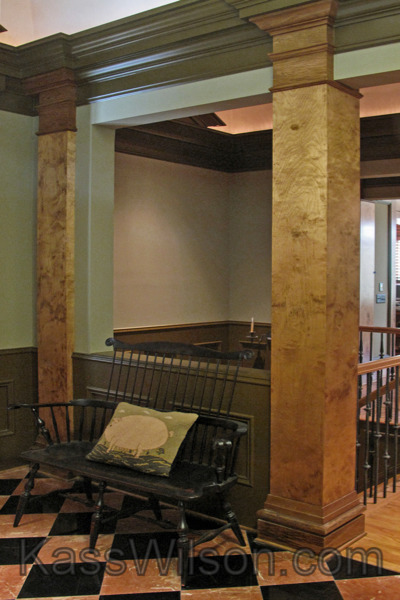 This project is a lesson in composition as it refers to paint and interior design. The correct balance of vertical and horizontal lines creates a visual path that will direct the eye to a particular point of interest. Without good composition, the resulting chaos interferes with the way a story is told. Through the use of decorative artistry, we were able to take advantage of the strong architecture in this space to define these visual lines. It is all about identifying where to start and where to stop. 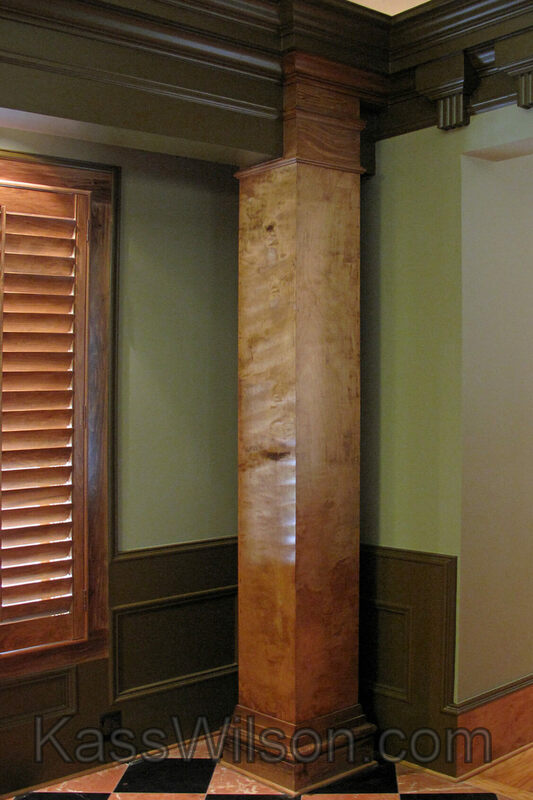 This project required a balance of these strong vertical and horizontal lines. Designer, Karen Davis, has a gift for architectural design. 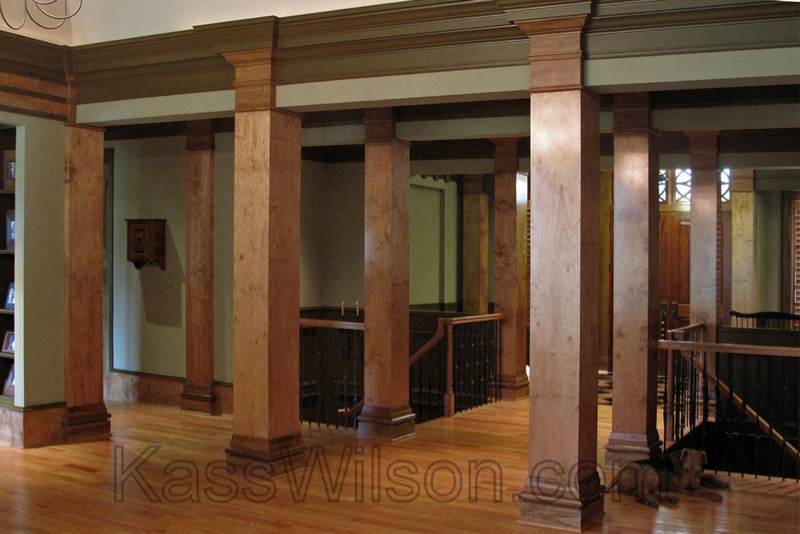 She quickly recognized that there was a conflict of delineation of lines between the columns and the trim molding. 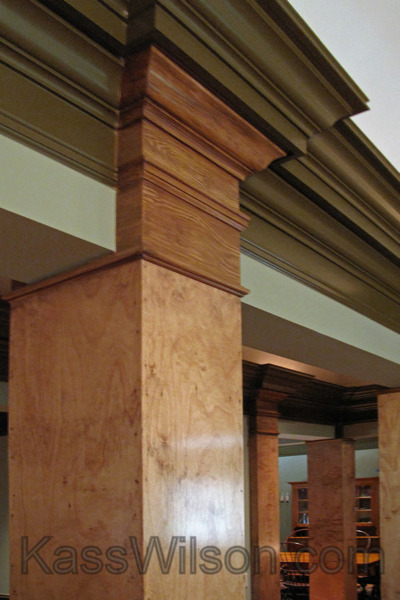 To solve this problem, the height of the columns was accentuated by painting the capitals in a faux wood grain technique to match the bases. They are now easily recognized as strong repeated vertical features that are separate from the trim. 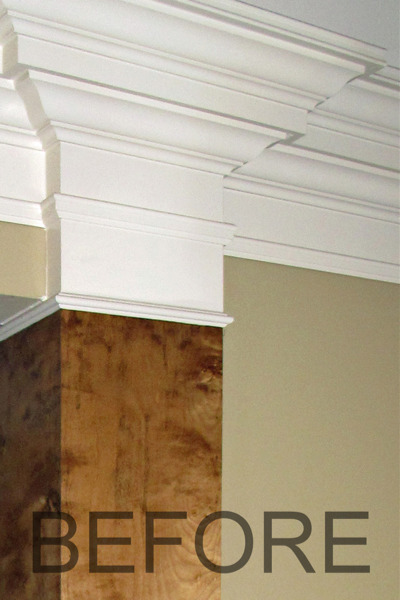 Painting the crown molding in a contrasting color defines the horizontal line that connects the architecture and directs your eye to appreciate the vast length of the hallway. With the use of decorative artistry, these changes create a visual rhythm of vertical lines that are balanced with the strong horizontal lines. 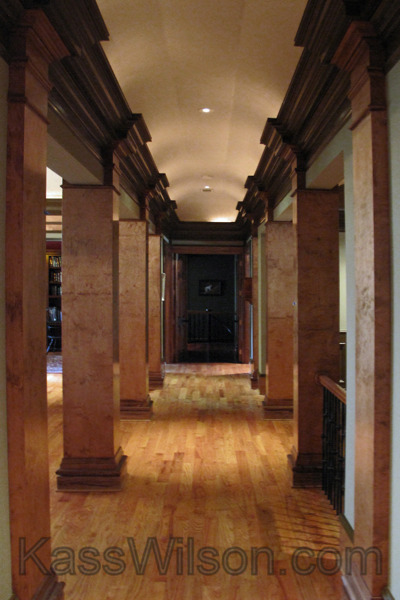 They have become the lines of distinction that enhance the details of the architecture in this space. 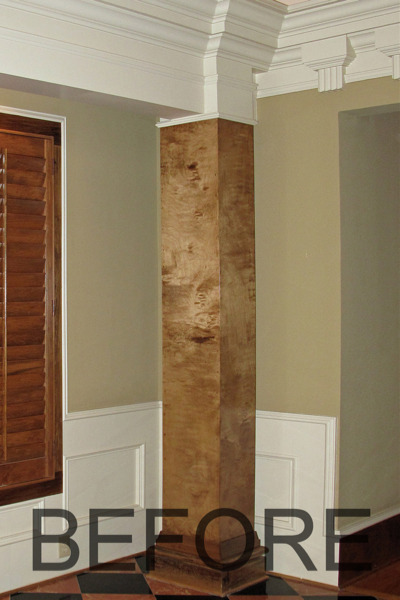 Take a fresh look at the architectural lines in YOUR home. Are there places where you can make it more interesting? Leave us a comment and let us know! Great transformation! Perfect example of how depth of colors can make a huge difference.